Short breaks available all year - minimum 4 nights stay. 1 Electric wall mounted panel heater & 1 portable electric heater inclusive. No cot (carrycot accepted). Sorry, this property does not accept pets. 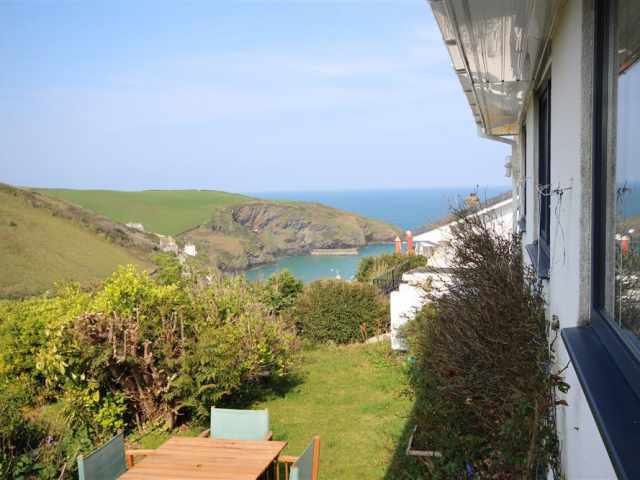 Just a two minute walk from the beach at Downderry via a flight of gated steps and only a 20 minute drive from the picturesque harbours at Looe and Polperro, Anchors Away is ideally situated for exploring the county by car and enjoying breathtaking scenery along the South West Coast Path. Downderry has a shop, cafe, pub and restaurant all a short walk away and the south facing, sand and shingle beach is only a 2 minute walk. For a wider selection of amenities, Liskeard and Saltash are equidistant approximately 10 miles, both with supermarkets and leisure centres, and the city of Plymouth is a 30 minute drive. The National Trust houses of Antony, Mount Edgcumbe and Cotehele are all within a half hour drive and the cliff top golf course at Portwrinkle is a 10 minute drive. The ancient ports of Looe and Polperro are 6 and 9 miles respectively, both offering seasonal boat trips. The South West Coast Path enjoys wonderful views along Whitsand Bay to Rame Head, and there are woodland walks inland through the Seaton Valley Countryside Park. A community bus service operates within the local area. 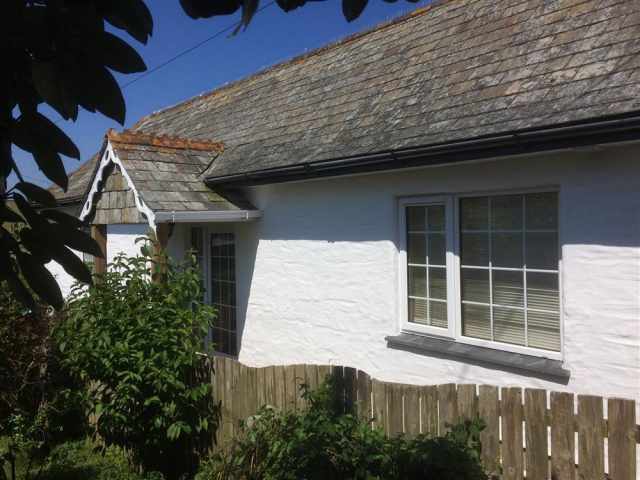 Set in a popular Cornish seaside village, this detached garden room is tucked away to the rear of the owner's house in a residential no-through road. Approached from the carport where there is visitor parking for one car, half a dozen steps and a sloping path lead up to a delightful sun terrace for the visitors sole use. A half glazed door opens to a small entrance porch and an inner door leads directly into the living room with a terracotta tiled floor, neatly fitted galley kitchen and a casual dining area. A comfortable sofa is adjacent to the large front window overlooking the owner's fruit hedge with a glimpse of the sea. Leading off to one side is a fully tiled shower room W.C. with vanity basin and on the opposite side of the living room is a small double bedroom with a partial sea view between the rooftops of the neighbouring properties. The Mediterranean style patio with its pergola, built in bbq and sunny aspect is an ideal area for alfresco dining and is filled with the sound of the sea nearby. -It is not advised that guests rely on public transport for this property.